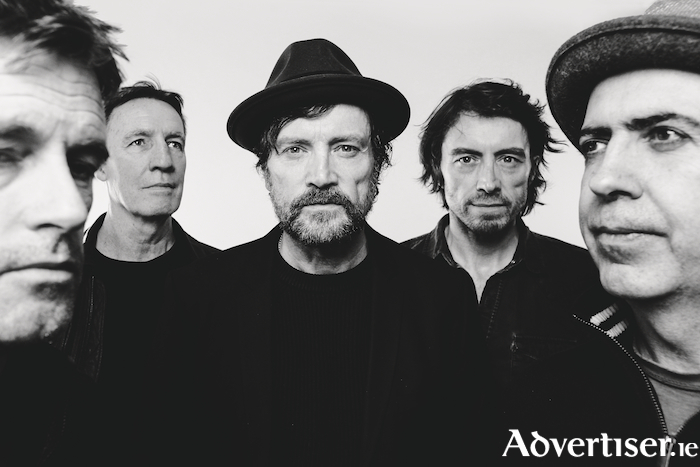 THE STUNNING will be 'brewing up a storm' at the Galway International Arts Festival this summer, when the much loved and legendary band play the Big Top in the Fisheries Field. The concert takes place on Sunday July 22, and will see The Stunning play the festival for the first time in more than a decade. They will be supported by rising Irish band The Academic. The Stunning formed in 1987 in Galway and had their first Top 20 single just a year later, followed by two more Top 10 hits before their debut album Paradise in the Picturehouse hit the number one spot in 1990, staying there for five weeks. Four more hit singles and another Number 1 album followed and the band released a live album in 1993, calling it a day a year later. After an absence of almost 10 years, during which Joe and Steve Wall went on to form the successful outfit The Walls, the band reformed in 2003 for an 18-date tour, which turned out to be one of the highest grossing tours in Ireland that year. In May 2017 the band released a new single, 'Brighten Up My Life', which has received more than 1,000 plays on Irish radio to date. Another new single, 'Always You' was released last November, the day before their first sell-out London show in 23 years. Twice Around The World, a re-recorded, re-imagined, version of their Number 1 album, Once Around the World, is due for release next month. The Academic - Craig Fitzgerald, Dean Gavin and brothers Matt and Stephen Murtagh - have enjoyed hits such as 'Different', 'Mixtape 2003', 'Bear Claws', 'Permanent Vacation', and 'Why Can't We Be Friends?'. They have appeared at leading European festivals, amassed millions of streams online, and international radio play.